Capcom continued to hit its stride this year with Street Fighter V following a somewhat disastrous launch a couple of years ago. 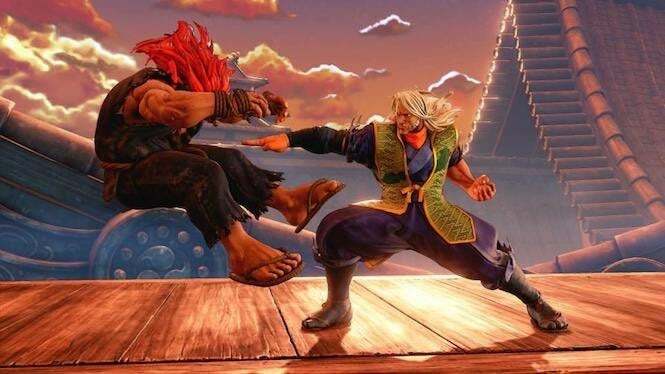 A third season of content was introduced, featuring six new fighters and some other balancing tweaks, along with a new Street Fighter V: Arcade Edition retail release. But it doesn’t look like the company is done with the fighting game yet. Some interesting information has come out of X-Kira Datamining on Twitter. The user specializes in digging up information from popular games, in this case Street Fighter V. And based on their tweets, a fourth season of content for the game is already being planned, along with a new release. Based on the tweet below, the publisher could be introducing five “legacy” characters into the fold over the course of the next year, along with a new face joining up for the first time. They do warn to take the information “with a grain of salt” since Capcom hasn’t said anything, but it sounds very similar to the business plan it had this year. Check out the tweet below. Furthermore, Vergeben, who has provided leaks in the past that have ended up being accurate (like Ridley and the Castlevania Belmonts being in Super Smash Bros. Ultimate), was able to dig up names of who would be joining the party. This includes Necro, Q and Oro from Street Fighter III fame, along with fan favorite Crimson Viper and Final Fight veteran Sodom, along with the not-yet-revealed newcomer. But along with other information, including potential holiday outfits for a number of Street Fighter characters, X-Kira also discovered a listing for Super Street Fighter V: Arcade Edition, showing off some kind of release in December 2019. That means the season would likely start early next year, with releases going through the summer and the all-in-one product hitting in time for the holiday season. You can see the tweet below. Now, again, this is not official, but merely info found from datamining. It could turn out to be nothing. However, with EVO Japan set to take place in a few months, and the Capcom Cup making the rounds, the publisher could make an announcement regarding a fourth season very soon. And, hey, we’d love to see Crimson Viper show up. We’ll let you know once official information becomes available.